With the financial support of Mr Peter Mann, and Mr Ravinder Kataria, who are both successful business men, we were able to prepare and send a container on Saturday 19th August 2017. 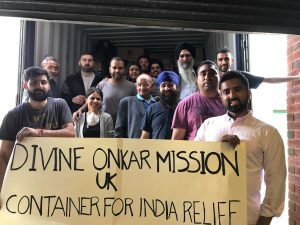 The process of loading the container can be physically challenging, on this occasion we were supported by a group of helpful volunteers: Ranbir Bhatia, Nina Kainth, Selina Kainth, Shona Nayyar, Sanj Sandhu, Dharam Nayyar, Resham Toora and Ranbir Rana. We would like to thank them for their help and look forward to working together in the future. We would also like to thank Kanshi TV who were there to help and promote the charity on their channel. The contents of the container consisted of: clothes for men, women and children. As well as fabrics pieces of different types, shoes, bedding, hats, caps and winter coats. We have previously sent a team to help the flood victims and will be returning with further supplies once the container reaches Ramgarh. In relation to other larger relief organisations we are much smaller. 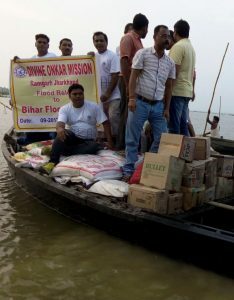 However, the continued support we offer to victims of disasters, means that we punch well above our weight.